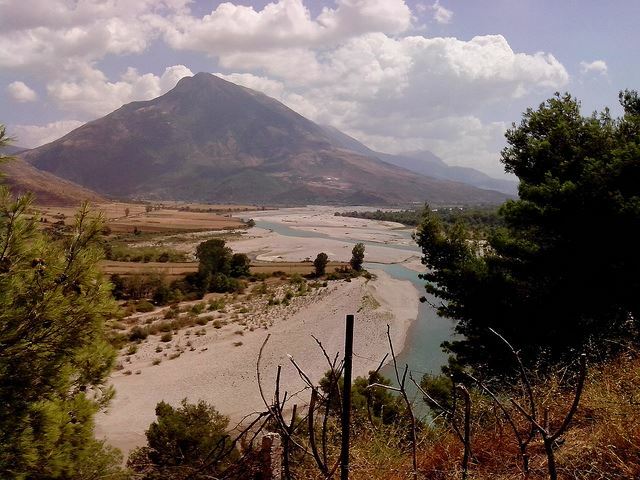 Explore the southern region of Albania, following in the footsteps of Lord Byron, Romantic poet and hero of the Greek Wars of Independence. Beginning near the border with Greece, walk up forested slopes and through broad valleys, passing monasteries, mosques, castles and fascinating archaeological sites to reach the Tepelena palace of ferocious vizier, and host to Byron, Ali Pasha. The Balkans are only just recovering from their turbulent twentieth century, and tourism outside of Tirana is slowly drawing people into this intriguing country. If you?ve already been hiking here, we would love to hear about it (and see the pics!). Albania, dominated by the horrible Enver Hoxha, was almost entirely isolated for much of the second half of the twentieth century. It is now a UN member and stands on the brink of entry into the EU and the long, difficult road to European integration. Already tourism has discovered Albania, which is rapidly becoming accepted as a beautiful, and extraordinarily interesting, destination; but those choosing to explore the more remote landscapes on the little-used hiking trails will find pleasingly few westerners on their travels. You will not, though, be pioneers. In 1809, this curious land played host to an earlier visitor - Lord Byron, one of the most celebrated poets of England's Romantic Movement. Byron travelled extensively in the area (indeed, he is known as a Greek National hero, having fought in the Greek War of Independence) and in his early twenties he spent ten days in Albania. The Napoleonic wars had necessitated a re-routing of the traditional "Grand Tour" route, the essential coming-of-age journey for the wealthy (and male) from the mid-seventeenth to the early nineteenth centuries, and Byron and his long-time friend John Hobhouse took the opportunity to see this remote corner of the Ottoman empire. Their brief visit was to inspire some of Byron's most famous poetry, with several verses of the lengthy Childe Harold's Pilgrimage given over to the celebration of Albania and its people ("Their wrath how deadly! but their friendship sure"). In Tepelena, he spent three days at the palace of powerful vizier Ali Pasha, observing in a letter to his mother that "He has the appearance of anything but his real character, for he is a remorseless tyrant, guilty of the most horrible cruelties". In spite of his fearsome reputation he had an apparent fondness for English nobles, plying Byron with almonds, sugar, fruit and sweetmeats. 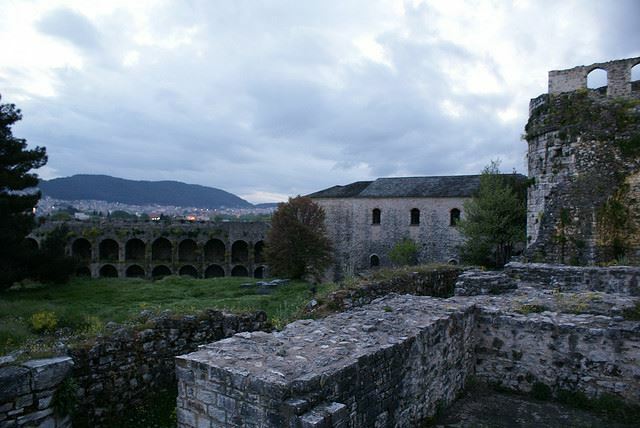 It is to Tepelena that the Byron Trail runs, beginning some 120km to the southeast near Ioannina, in Greece. Most, though, are tentative about striding out into the wildernesses of this unfamiliar region, and opt for a guided expedition. The expert is widely considered to be Auron Tare, founder of Auron Expeditions, who runs walking tours along the route from Glina, just east of the Greek border, to the palace at Tepelena. 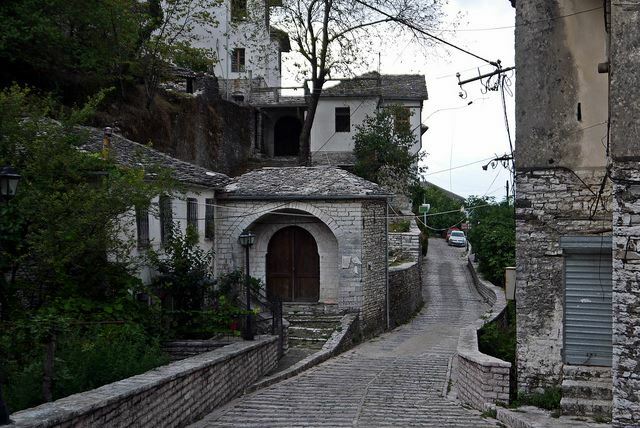 If you want to sleep more comfortably than Byron and Hobhouse often did, then the walking can all be done from a single base in the interesting Ottoman town of Gjirokastra (incidentally, the birthplace of the Albanian author Ismail Kadare). Meandering to Tepelena, you will follow old caravan routes, with ancient monasteries, romantic castles and other archaeological marvels vying for your attention. 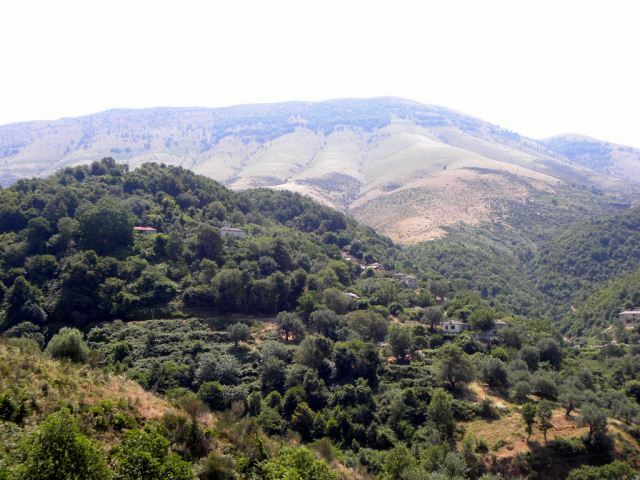 The landscapes of southern Albania may appear familiar to UK visitors; the dramatic grey-green slopes are strongly reminiscent of the Scottish Highlands, prompting Byron himself to describe them as "Caledonian". 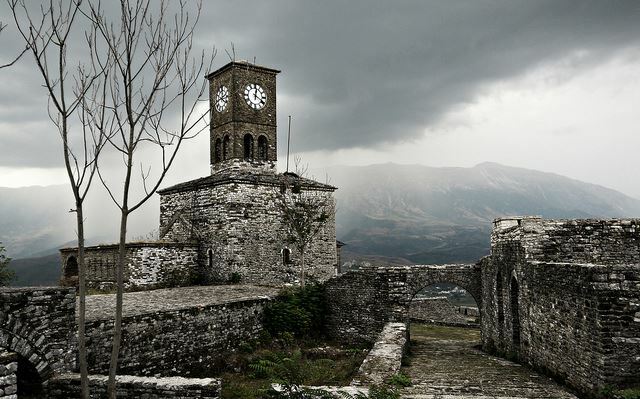 Gjirokastra is nestled in the broad bottomed Drino valley, its patchwork of fields meeting steep mountainsides at each edge, with minarets rising from the towns and villages spread along its river and perched on its forested peaks. Exploring Ali Pasha's palace at Tepelena is a must for anyone truly following Byron's footsteps. However, many choose to drive here: the last section of the trail is now dominated by the main road to Tirana, which makes for an unappealing walk. Development has had far worse effects on the landscape. A vast increase in waste that Albania's fragile (and corruption-riddled) infrastructure simply cannot deal with has left many areas coated in rubbish - a jarringly visible consequence of consumerism. Heaps of waste are piled around towns, in streets, and next to lakes and rivers - aesthetically displeasing and environmentally disastrous. In order to truly appreciate the history of the landscape you will pass through (as well as the many problems it currently faces) it is worth having a guide. Whether you do or not, you may be interested in some research before setting out: Byron's letters from Albania are available online, Hobhouse's more pragmatic accounts of their travels are available in book-form (though a bit pricey), and there are several more recent accounts and histories. In particular, try The Albanians: A Modern History by Miranda Vickers (just published, at the end of August 2013). An account of the journey of American soldiers trapped behind Nazi lines has also recently been released - The Secret Rescue, by Cate Lineberry. More travel-minded books include The Accursed Mountains: Journeys in Albania, by Robert Carver. Whilst primarily focusing on the north of the country, it also includes his time in Tirana, and is a generally interesting and entertaining account of Albania. To really get under the skin of this intriguing country, try the literary works of enigmatic Ismail Kadare, whose efforts to avoid the scrutiny of the authorities have produced a corpus of works defined by their opacity. Drawing heavily on the Balkans' history and folklore, his oblique approach has defied labels of dissident or conformist, and perhaps in doing so has confirmed his place as Albania's most important contemporary writer. Wild Frontiers Travel work with Auron Expeditions to run a very similar trip to that described, on horseback. If you are venturing into Albania, it is worth exploring the "Accursed" Albanian Alps to the north; the long Peaks of the Balkans Trail, a thriving symbol of the newfound peace in this region, also passes through these mountains. You could combine this trip with some walking in Greece, where Byron is a national hero. In 1809, en route to Tepelena, he travelled from the port of Salaora, through Arta, to Ioannina and from here across the Albanian border. This is an excellent excuse to explore the beautiful Zagorian region of the Pindos Mountains: see our Pindos/Vikos Circuit page for more information and William Mackesy's written account. If you're serious about visiting, consider Sherpa Expeditions self-guided tour through the region, which they have run for decades.